For environments that go through multiple loads of laundry a week, the Ariel Autodose 10L bottle effectively fights against tough and heavy stains. Highly concentrated, this biological liquid detergent has been formulated specifically to provide exceptional results on those stains you thought would remain forever. The patented enzyme formula works at low temperatures, reducing your electricity bill and becoming an economical choice for high traffic business. Choose this highly functional detergent for your business needs and help to maintain your high levels of hygiene always. If you would like to discuss autodose pump solutions, for a cost effective solution to your laundry, give us a call on 0345 450 2420. 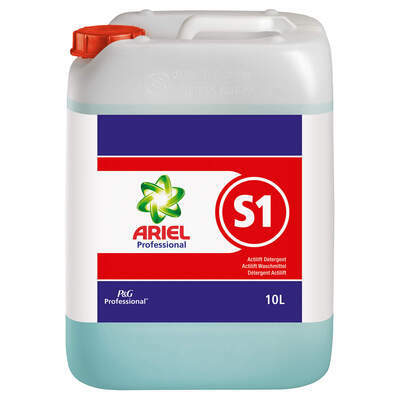 We also stock a wide variety of Liquid Detergents here online to ensure all your laundry needs are taken care of in one place.